In 1967, the Sunnybrook Department of Family and Community Medicine was founded. It was one of the first academic family medicine departments in Canada and the first academic family medicine department at the University of Toronto. Over the span of over almost fifty years it has evolved to encompass five key divisions - Family Practice, Palliative Care, Long Term Care, Family Medicine Obstetrics, and St. John's Rehabilitation Hospitalists. In addition, the department is home to the Primary Care Research Unit. Each division shares a strong commitment for excellence in clinical care, education and research. Collaborating with our community and partners we will have a positive impact on primary care improve the health outcomes of our patients and families. The Sunnybrook Academic Family Health Team provides a broad range of primary care services to patients and families across the life span. 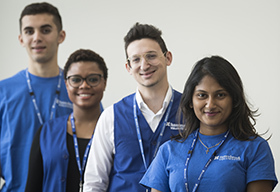 We are committed to caring for our patients and their families through collaborative teamwork, health promotion and prevention, system navigation, mental health programs and chronic disease self-management in order to provide excellent care for all. The Palliative Care Unit at Sunnybrook is located in the Sunnybrook Veterans Centre, on the first floor of K-wing. Two dedicated units, K1C and K1E provide end of life care to patients and families who are facing advanced disease. The focus of care is on maximizing quality of life, managing pain and symptoms, and supporting emotional, social and spiritual needs. Patients may be referred and admitted from the acute patient care units from the main hospital or the community on a case-by-case basis. 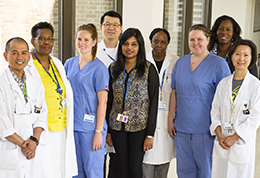 Within Sunnybrook, the Palliative Care Consult Team (PCCT) is a group of dedicated palliative care experts who work interprofessionally to provide consultation for patients with complex symptoms or needs who have been admitted to the acute patient care units of the hospital. Members of the PCCT also provide care within the ambulatory Palliative Care Clinic at the Odette Cancer Centre. 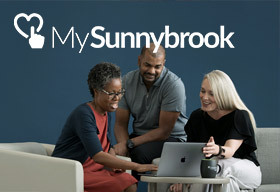 The Sunnybrook Veterans Centre is the largest Veterans care facility in Canada providing a high level of specialized, complex continuing care and nursing home care to 475 Veterans from the Second World War and the Korean War. Resident care is provided by an interprofessional team of health experts. Good health for mother and baby starts before pregnancy, and family physicians are specialized in building and sustaining relationships with women and their families across the lifespan. 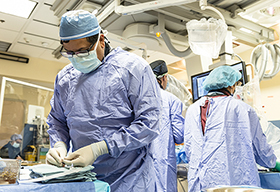 Home to Canada's only organ transplant rehabilitation program and Ontario's only burn rehabilitation program, St. John’s Rehab is recognized as a leader in delivering individually customized inpatient and outpatient rehabilitation services that focus on the whole person — mind, body and spirit. In 1985, the Primary Care Research Unit (PCRU) began as a collaborative group of clinician researchers and associates working together for sole purpose of making an impact on primary care research. Support the Department of Family and Community Medicine by making a donation.